Pick an exam and Register! 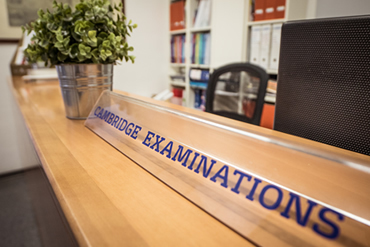 Cambridge Assessment English exams test the language competences of the candidates in four communication skills: reading, writing, listening and speaking. In order to comply to the latest Privacy Laws, candidates must provide their details with our online platform. Click the big blue button above or here. Then select the exam you are interested in to see the sessions time-table. Click here for more information about the comparison scale of QCER levels and official Cambridge English Exams. Cambridge Assessment English (already known as Cambridge ESOL), are recognised by MIUR and can be used for school credits. For more informations here is the offical note published by Cambridge English Italia. Cambridge Assessment English exams can also be purchased with Carta del Docente. Today Cambridge English exams are the world's leading range of certificates for learners of English, and each year they are taken by over 1.5 million people, in 135 countries. Save time and effort and let Cambridge Assessment English create your free, personalised exam preparation plans, with additional teacher support. Weekly is the exam preparation planner for teachers. Click here. According to Ministerial Directive n. 90/2003, Cambridge English is an institution recognised by the Ministry of Public Education for teacher training and is included in the list of accredited authorities in the group named: University of Cambridge Local Examinations Syndicate (UCLES). Cambridge Assessment English is also an institution accredited by MIUR to use the Teacher Card which can be used for the "registration for refreshing and professional competences qualification activities, [...]"